Eastern Mennonite University’s Committee on Diversity and Inclusion (CODI) was one of three community organizations that hosted a religious leaders summit and a racial equity training on campus this spring. Though the two events were separate gatherings, they “tied together in many ways with regard to social justice and issues of equity,” said professor and CODI chair Melody Pannell. 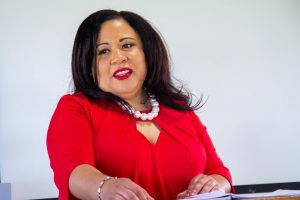 Pannell also chairs the Religious Affairs Committee of the Harrisonburg-Rockingham branch of the NAACP, which along with Faith in Action joined CODI in planning the events. The religious leaders summit took place on April 26, 2018, with representatives of EMU and Baptist, Episcopal, Mennonite and other churches. The April 27-28 racial equity training was attended by select EMU students, faculty and staff as well as representatives of various churches and community agencies. CODI is comprised of faculty, staff and students and works to develop and sustain a diverse and welcoming community of learning. It provides education and training on diversity and inclusion – and much more – to the EMU community. The NAACP Religious Affairs Committee includes chapter members who are ministerial and lay leaders who, among other responsibilities, “provide resource assistance for religious education and social actions activities associated with the improvement of race relations,” according to Pannell. Faith in Action is a coalition of 25 congregations including Christians, Jews, Muslims and Unitarians working together to effect systemic change in the Harrisonburg-Rockingham community. The goal of the April 26 summit was titled “Social Justice as a Movement of Faith” was to bring together religious leaders in the community “to ask how we can respond to or engage in this particular climate on issues of social justice, and be challenged in looking at the Gospel as a social justice gospel,” Pannell said. It featured as keynote speaker The Reverend Dr. Gregory M. Howard, president of the Baptist General Convention of Virginia and senior pastor of First Baptist Church East End in Newport News, Virginia. Watch WHSV coverage of the religious leaders summit. Howard is the author of Black Sacred Rhetoric: The Gospel According to Religious Folk Talk and Voices Crying Out in the Wilderness: Theological Reflection Where Context Matters (Borderstone 2010, 2014). 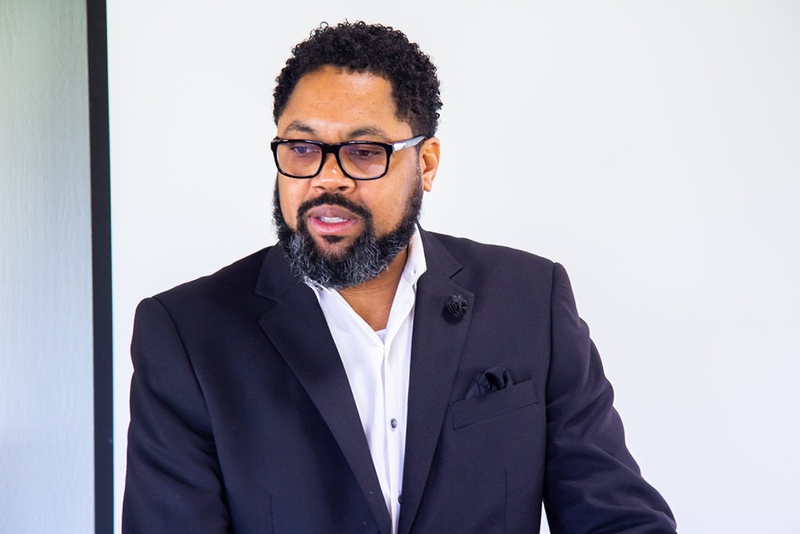 He earned a Master of Divinity degree from the Samuel DeWitt Proctor School of Theology at Virginia Union University, where he also teaches, and a Doctor of Ministry in homiletics from the Aquinas Institute of Theology at St. Louis University. He was a 2009 Joe R. Engle Fellow at Princeton Theological Seminary and is currently pursuing a master’s degree in public policy. The training allowed participants “to develop a clearer understanding of how and why a system of racial stratification was created in the U.S. and how it has persisted through time, even as overtly racist laws have been overturned,” said Dayna Olson-Getty, associate pastor of Community Mennonite Church in Harrisonburg. And once they are released, it states, “a web of laws and regulations that make it difficult or impossible to secure jobs, education, housing and public assistance and often to vote or serve on juries” effectively creates a “permanent second-class citizenship” akin to living under Jim Crow law. Professor Melody Pannell teaches an online Race and Gender course that begins Monday, June 4. For more information, click here.